We do not accept 1 or 2 night bookings. Grosvenor on Queens is a modern one bedroom apartment located on the 6th floor of a stylish complex, situated in arguably one of Melbourne best inner city precincts, offering gym and pool facilities. 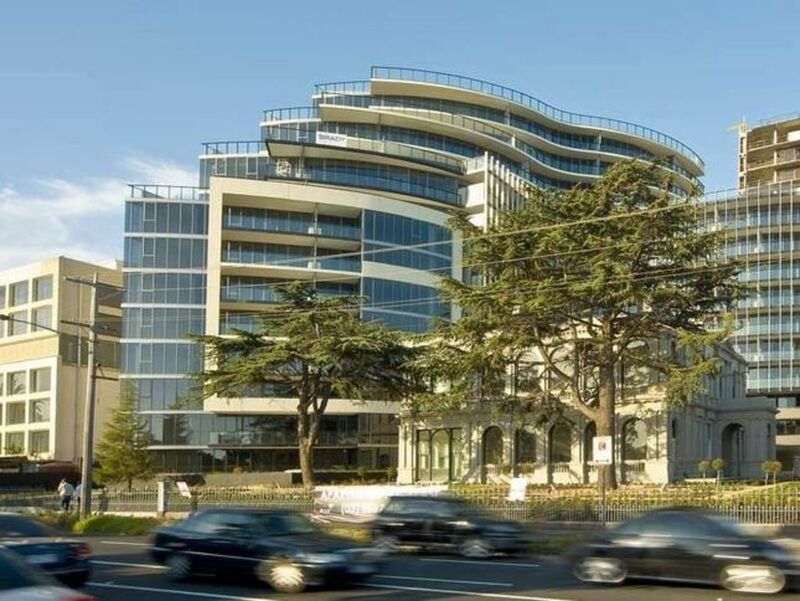 The apartment complex is sited directly opposite the Albert Park Lake and golf course - home to the Australian Formula 1 Grand Prix, and a 60 second walk to the Tram which will take you right into the heart of Melbourne. Grosvenor on Queen is a smoke free building. Absolute top spot in an ideal location. All the amenities & facilities you could want or need. Public transport is very handy, but i managed a walk to Flinders St. Station in 25 mins with no real effort & found it a pleasant walk. Looking forward to hopefully staying there again same time next year. This Apt had an excellent location, close to Trams to the City Center. It was well equipped and comfortable. This apartment is extremely well located for the visitor to Melbourne. Easy access to public transport and walking distance to many eat and drinks. Nice touch being met on arrival too! We have stayed at TAG Executive Apartments several times and will be back again. The location is perfect with Albert Park right across the road for our morning walks, as well as St Kilda & Chapel St both within easy walking distance. Add to that the fact St Kilda Rd and trams to the CBD are less than 100m away and you can't go wrong! Thanks again.